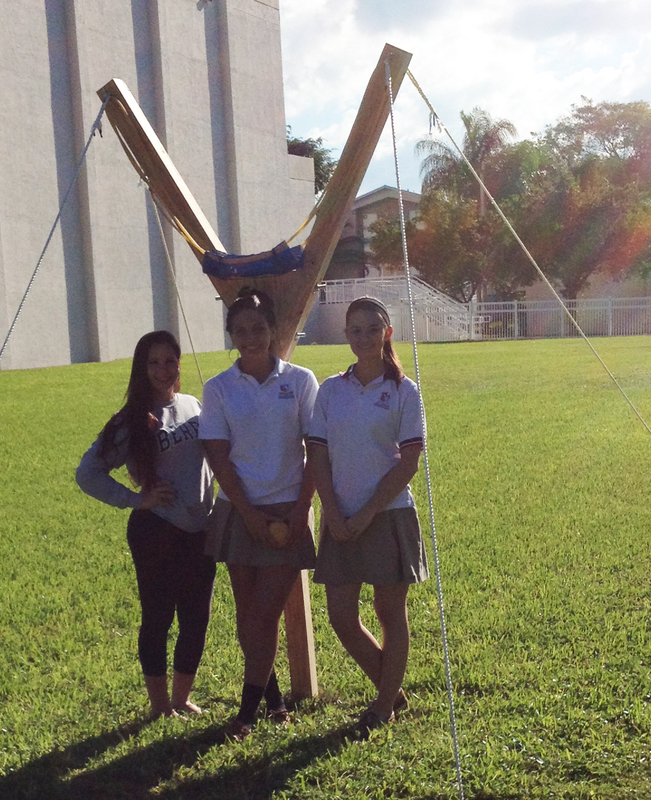 This week, Mr. Sack’s Physics classes demonstrated projectile motion by constructing and testing slingshots. For those of you who have long forgotten high school physics (haven’t gotten there yet), projectile motion is when an object is thrown near the earth’s surface, moving along a curved path under the singular force of gravity. The slingshot is the perfect vehicle for this concept, as projectile motion only occurs when there is one force applied at the beginning of the trajectory of the object, after which gravity is the only force applied. 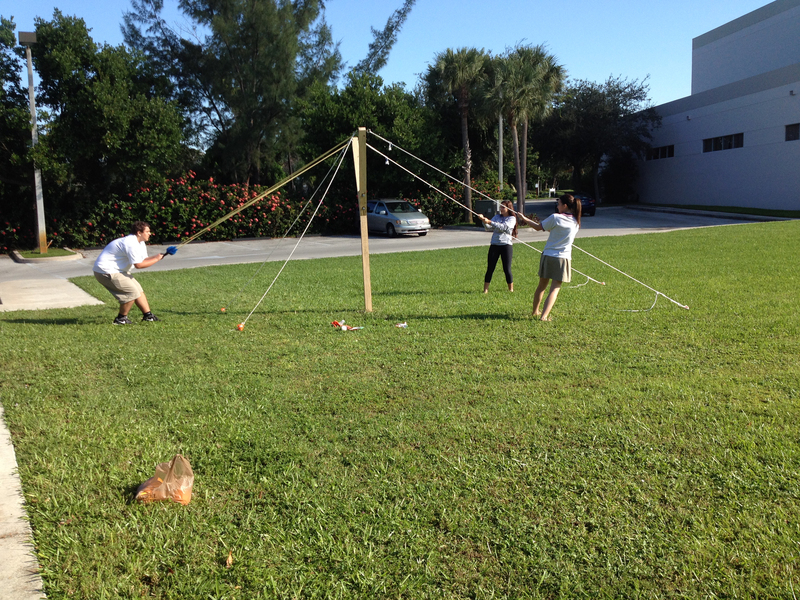 For this quarter-long project, students, divided into teams, had to name, design, and construct a slingshot capable of launching a grapefruit at least 50 feet. 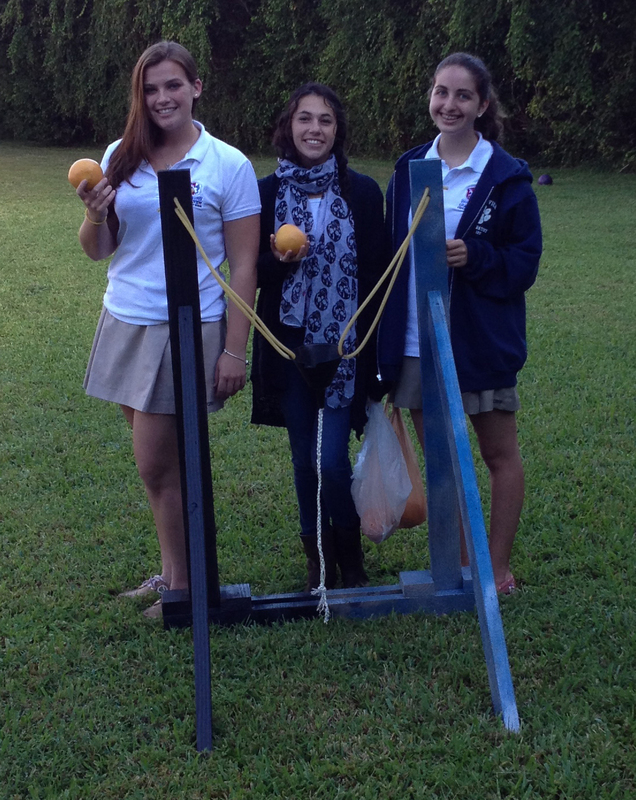 During the slingshot testing, the shortest distance actually launched a grapefruit was 100 feet; the longest was 500 feet. After the grapefruit launch, teams wrote summary reports detailing the experience and explaining all physics concepts used in the project. 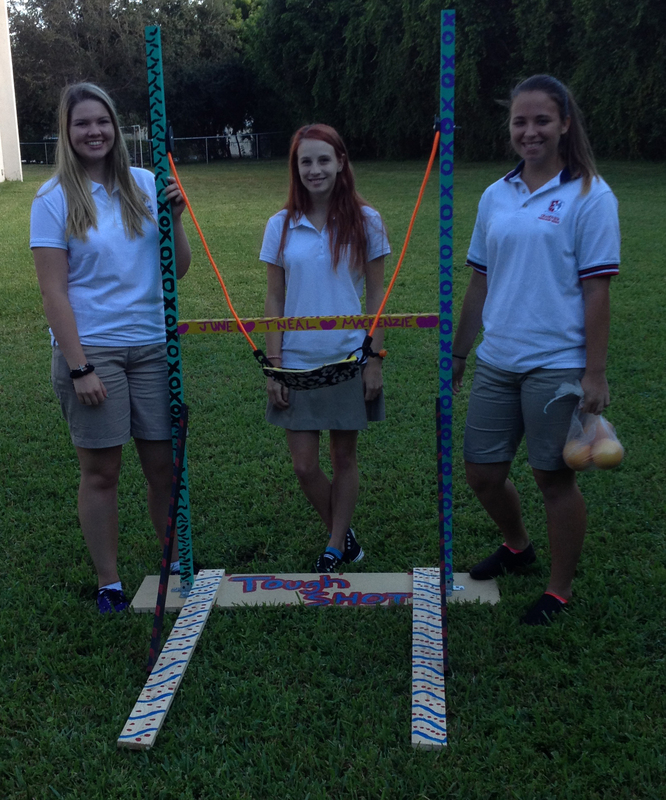 We’ll spare you the textbook explanations– but just know that in addition to projectile motion, students had hands-on experience with acceleration, velocity, displacement, and parabolic trajectory. Now that’s a good time! 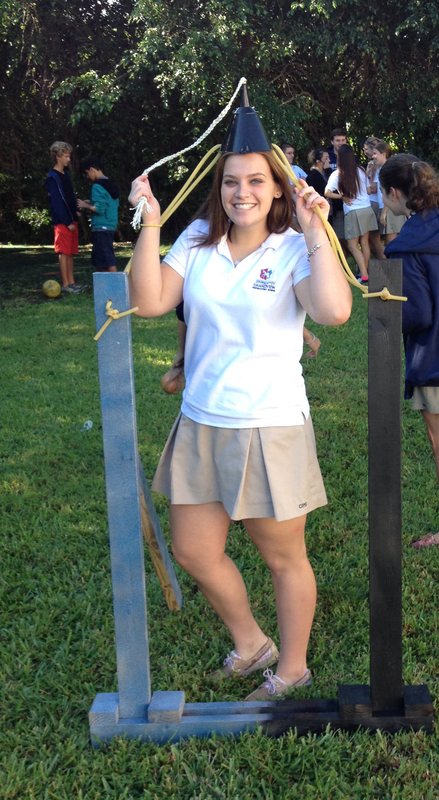 Tags: Education, Physics, Projectile motion, Slingshot. Bookmark the permalink. Previous post ← Science Night is a Blast!